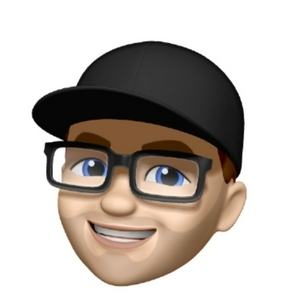 Welcome to the Gary Winchester in REAL Life podcast, I am your host Gary Winchester. This podcast is all about my life as a stay at home dad, Essential Ōil Guy and co-founder of Winchester Ōils. In this episode I will talk about using the tools you have, about people who energize, inspire or motivate you and being refined. Let’s jump in! 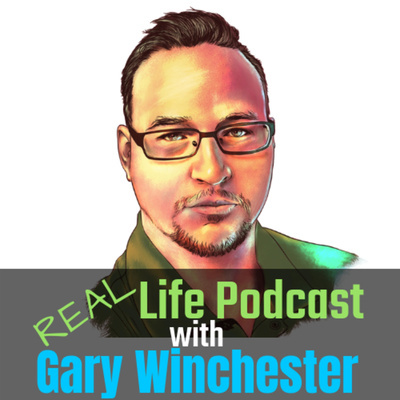 Welcome to the Gary Winchester in REAL Life podcast, I am your host Gary Winchester. This podcast is all about my life as a stay at home dad, Essential Ōil Guy and co-founder of Winchester Ōils. This episode is sponsored by Winchester Ōils. We sell pure, safe and natural essential oils and essential oil products to help you with your health goals, concerns or issues. If you want to learn more visit Winchester Ōils dot com. In this episode I will talk all about what essential oils are, the difference between blends and single oils (captain obvious will be my guest for this segment) and industry standards. In this episode I talk about seasons in life, balance is bull shirt and comparison kills! If you find value in this episode please share it! Sharing is caring! First episode in 2018! Super excited for you to get to know Roger Webb. Learn more about him as I ask him questions and he shares amazing insights. It’s time to say goodbye to a wonderful year, actually 2017 will how down in my record books a one of the toughest years. In this episode I recap 2017, talk about what to expect in 2018 and the two LIVE shows we are adding in 2018. Got a new name - Gary Winchester Radio - I really wanted to keep this similar to a radio show format. In episode 23, our first sponsored episode by Winchester Ōils, I talk about what essential oils are, the December promotions, how to get them and two essential oil tips. I do apologize for the segments being out of order. Thank you for listening! It’s been so long! Last time I was on here was back in July! In Episode 22 I talk about life of a stay at home dad: no one said it would be easy and how balancing is nearly impossible. I also talk about personal development: anger is not a leadership style and how I need to cultivate my sons natural ability to lead. Thank you for listening! In Episode 21 we talk about appropriate screen time in life of a stay at home dad, don't be a pretender in social media and BOGO week (7/17-7/21) in family wellness. In episode 20 I talk about the Social PRISM, feeling like you're screwing up your kids and colds. Hangout with me and listen as I discuss these topics. Episode 19 we talk about the Anger cycle, how to end it, checking your kids social accounts and New Release Tuesday. Welcome to the Gary Winchester radio show Episode 18 where we talk about Mobile Tech and Social Media from a stay at home dad perspective and age appropriateness for mobile tech. Welcome to the Gary Winchester radio show Episode 17 where we talk about step parents and step grandparents. When and how to explain it to small children.